When venturing out into the musical world on a new adventure, it can be pretty daunting when trying to find the right musical instrument. It’s easy to decide to learn to play something, but when it comes to deciding what that something is, things can get a fair bit harder. We’ve put together a list of some of the most important things to pay attention to when trying to find the instrument for you. It’s understandable that when walking into an instrument shop, you might spot an instrument and simply shout that it’s the perfect one for you. 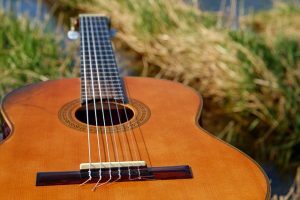 Unfortunately, playing musical instruments can be a fairly physical ordeal, meaning that you’ll need one that fits your body before trying to learn it. Just because you think that 1958 Gibson Les Paul looks great, doesn’t mean you should be putting yourself in debt to buy it! Judge your budget and make sure you can afford whatever you want to try and play. If you are set on a certain instrument but can’t match the price, try to look for rental options. They can provide a means to practice and test out the instrument before committing a large sum of money to it. Another option for budget-handling is to look for second-hand instruments, but it’s important to inspect them before buying. Make sure the item is well maintained and in good condition structurally (no rot hiding inside, for example). Where you live is going to have a huge impact on what you can or can’t learn to play. If you don’t have the space for a drum set, don’t buy one! This is also true if you live in a crowded neighbourhood, surrounded by other people. Buying a loud instrument with no way of lowering the sound pollution is likely to get you in more trouble than the practice is worth!